A 3GPP (3rd Generation Partnership project) plenary meeting has approved the specifications for standalone (SA) 5G. 3GPP said the finalisation of these specifications marked another essential step in standardising the technology and that the industry is now on the “final sprint” towards commercial roll-out of 5G. The latest SA specification, published in 3GPP’s Release 15, paves the way for 5G networks which operate independently from 4G. It will allow 5G NR (new radio) to be independently deployed, enable end-to-end 5G architecture, and open up new business models for the telecommunications industry, said a statement from 3GPP, which was backed by its members. This follows the release of 5G NR specifications for non-standalone (NSA) 5G in December last year. The new standard was delivered on time, according to 3GPP’s schedule. 3GPP is a collaboration between seven telecommunications standards development organisations which represent companies from across the communications industry. Over 600 delegates from telecommunications companies, chipset vendors, internet firms and industrial partners, attended the plenary meeting to witness what 3GPP calls a “historic moment for 5G”. Following the publication of Release 15, operators and vendors can now move ahead more quickly with advanced testing using equipment they know is standards-compliant. AT&T said, for example that it plans to roll out commercial 5G in 12 cities later this year. Georg Mayer, Chairman of 3GPP Technical Specification Group Core Network and Terminals (TSG CT), said that Release 15 has made 5G a reality, moving it beyond purely vision and hype. However, he noted that this is also just the first step in the 5G story and the hard work now begins on continuing to refine and develop standards to meet the needs of various customers and industries. Many 3GPP member companies provided statements supporting the latest standard and the value that 5G is set to deliver. This entry was posted in 5G and tagged 3GPP, 4G, 5G, TSG CT, vodaphone on June 20, 2018 by Tim Cosgrove. What is 5G and when will it be unveiled in the UK? The University of Surrey’s 5G Innovation Centre is home to the pioneers of wireless technology who have been researching the next generation of connectivity since 2012, before 4G even hit the scene. Led by Professor Rahim Tafazolli, the centre is working alongside telecom juggernauts to usher in what has been christened the “Internet of Things”, which will see the network capable of things that were once a distant dream. The researchers at the 5G Innovation Centre (5GIC) are working on much more than simply improving the speed of our mobile phones, with ambitions of driverless cars and home appliances all controlled via 5G. Partially funded by the UK government, the centre was the first of its kind and has since been joined by the likes of Japan, Taiwan, Russia and South Korea in the 5G race. Last year, the 5GIC achieved breakthrough connectivity speeds of just one terabit per second and proclaimed it hopes to demonstrate the remarkable technology to the public by 2018. If (like us) you can’t wait that long, we caught up with Professor Tafazolli himself to discuss all things 5G and what exactly we can expect from the Internet of Things. Tesco Mobile: Can you give us a bit of background about the 5G Innovation Centre – when you started, what the objectives are and what you’re working on in general? Professor Tafazolli: We started in 2012; there was an invitation for research into infrastructure, not specifically 5G, from the UK government and the higher education funding council of England, who provide funding to higher education in England. When we heard about this funding, I was thinking what we could do with it. Being involved in mobile communications for 2G, 3G, 4G and the history of the UK in radio communications, I thought that it was timely to have the infrastructure to do research into technologies beyond 4G and 5G. So, we put in a bid and in October 2012, it was successful. I talked to our industry partners, mainly Vodafone, Telefonica, Fujitsu, Samsung and Sony, who were all supportive. We won the bid and were granted £12m by the UK government; then twice that was committed by our industry partners, so all together about £36m. What work is the 5GIC doing? PT: The idea is to work on the step change technology that 5G will use. The advanced research evaluates our technology, mathematical modelling, computer simulation, building the technology, prototyping it and testing it in a wide area. Now, we have raw data and 44 base stations. TM: So, you have basically a 5G network? PT: Not really. 5G needs to be standardised first. Lots of people are proposing different technologies. It will go through the standardisation process, then we select the technology and start implementing, testing and optimising it, before eventually bringing it to the market. What we have now is an advanced version of 4G. So, we have the infrastructure in place and gradually over time, we’ll change it to 5G technologies. Looking at the plans, 2018 is the first quota for when we would like to demonstrate full 5G technology. If we achieve this milestone, we will be the first in the world to show 5G technology in a real environment, not in a lab. Our vision is 5G, that’s not just higher speed, unlike many people think, but a system that provides high capacity with at least 100x more users connected. TM: When you say 100x more users connected, does that mean in a football arena everybody will be able to connect? PT: Yes, there is enough capacity for everyone to be connected, even in a high-density environment, like a football stadium. In addition to people, we think that 5G will provide connectivity between devices. Everything will be wireless. It’s not only communication. It will be connecting devices together, homes will become smart homes, cities become smart cities, countries become smart countries and continents become smart continents. So, 5G is not only about speed, it’s about connectivity. But we want the system to be highly secure because of malware and attacks on the network. When we have every aspect of our life connected, then there is a big risk. So, the system must be reliable, and it must be robust. TM: To get rid of latency? PT: Low latency translates to higher speed. But (…) our objective is not just to achieve speed; if it was speed, we already have the technology that can do 1000x faster than the highest 4G speed, so we could say we’ve finished the 5G project. But, that’s not our objective. Our objectives are the ones I’ve mentioned – reliability, robustness, security, and latency. We want to support 100x or 1000x more devices on the network. The system must be energy efficient because with current technologies, the energy we use would also be 100x or 1000x more. TM: If we had 5G on our phones right now and they were running on the 5G network, would it drain the battery dramatically? PT: With the current technology, yes. That’s why it requires different technology, which is what we are trying to do. TM: You mentioned the term “5G race” earlier and working with the industry – do you see this process as collaborative? PT: Yes, it has to be. No single country or company can dictate the global standard. That’s why we have a huge amount of industry partners from China, Canada, South Korea, Japan, Europe and the UK, of course. We all work together and collectively agree on what should be standardised. But, our plan is not just to do research and testing. We have a 5G centre set-up, a standard group chaired by O2/Telefonica and our partners look at our research and provide input. We believe Wi-Fi is part of the whole story as well. TM: Within the European Union and the UK in general, when do you think we will have access to 5G technologies? PT: The first version of 5G technology should be in the market by 2020. Then, it will evolve to meet other objectives. 2020 is the target. TM: How will it be rolled out within the EU and the UK? Is it going to be something that is universally accessible, because 4G often tends to be more accessible in city centres? PT: Yes. It is different, not only from a technological point of view, but from the global acceptance of 5G. For 5G to work, it has to work with 4G. The reason we only have 4G in city centres is because of its capacity. As I said, 5G is not just capacity but also connectivity of devices with a very high data rate. We mean to cover buildings, factories and the commercial environment, so it will have more capacity as well as connectivity between devices. TM: Obviously, the mobile industry is going to change. With the current price of data, we mentioned that it might be a premium service, do you think it could be widely accessible? PT: It has to be because it’s not just going to be high-speed data. The business model of the operators will have to change because they have to provide connectivity to utility networks like gas, electricity meters and connecting cars. Eventually, we’ll have driverless cars and 5G technology should evolve to meet these needs; we can’t just come up with a new technology for driverless cars. However, it’s a long way away, not before 2025. We want this technology to provide economies of scale, so the world can develop different technologies and applications on top of that. Devices of differing capabilities will all be connected, so it will have an impact on the internet architecture – the wired part of the network must change. So, if it was only capacity and speed then 4G is good, but if you want to connect our highway roads, it must be something smarter. Homes become smarter, hospitals become smarter. We have an ageing population and they cannot keep going to their GP and hospital. Remotely you can control that. We think of the early 90s when we think about mobile communication and beginning to do these sorts of things. Mobile communication has changed our culture, our life, the way we do business, our private lives; it’s all dramatically changed. Now, 5G will change this; it will be a catalyst for all this change in the economy and society. Not only just communication but critical parts of our infrastructure, the services that a nation requires. So, what we are doing in the 5G centre is trying to come up with this enabling technology, this fundamental technology that will give you this flexibility, robustness, latency and network architecture to come up with those solutions. In 2030, 15 years from now, the world will be very different and we need to have the technology ready. TM: Obviously, smartphones are changing a lot and we’re seeing an increasing number of smart wearables as well. It feels like they’re going to become a central part of the Internet of Things. I know you’re not working directly with applications, but do you already see the future of mobile phones changing? PT: I think they will become more intelligent and do more than just communication. We’re focusing on a couple of areas generated from having transformed data into useful applications. So, we have to come up with the artificial intelligence and model the data. Data coming from a smartphone and data coming from a sensor detecting light should have the format to be able to connect to one another. It must be a model that they can integrate because each individual piece of data is useful, but not when it’s coming from different machines. We have tested it, so all our students – Grad students and Masters students – can come and use the applications. What I would like to do, but I’m not sure if we can do it, is encourage students to hack it, break it down. TM: To test how safe the network is? PT: Yes. Then, we learn where the gaps are and fix them. But, I’m not sure whether we can do that or not. That would be fantastic. I’m sure some smart people could bring the network down if they wanted to. We’d probably allocate part of the network for this purpose. Break it down and then tell us how you did it. TM: You mentioned smart cars, smart houses, smart cities, smart continents and obviously, the first smart companies like Apple and Google; do you think we could see these major actors becoming more involved in city planning, into home design? PT: What most of these companies are developing is based on some sort of Wi-Fi system, some sort of proprietary solution, which is good, because people are thinking in this direction. It is encouraging that the industry is taking it seriously and not just the computer industry. However, to make this work on a global scale we need a minimum standard, so everybody builds everything on top of that and the networks talk to each other. If we carry on developing these things, these proprietary solutions, it will stay small. That’s why I am strongly supportive of a common standard and many people don’t like standards; they say “big boys control everything”. The problem is not having a standard; the problem is perhaps the standards should be regulated and opened to everybody. Because when we talk about new connectivity, a new type of digital economy, we need different regulations. TM: So, 5G will become the new standard? PT: The whole idea of the concept, the vision of how we should look at good and bad connectivity, will be very different to the way we have done it for the last 30 years with 1G to 4G. We’re no longer just working within that framework of higher speed. Many people still don’t know what 5G is because everybody says 5G is going to do more of the same thing, high speed, and that’s where the confusion comes in. That’s why I always say 5G is a special generation. It will be the first generation with full connectivity and then after, 5G will be a second generation of connectivity, then a third generation of connectivity, which is why we’ll not have 6G. What Professor Tafazolli has made clear is the development of 5G heralds much more than faster data speeds for smartphones. It beckons the Internet of Things, which will see everything connected in our homes, our cities and our countries. 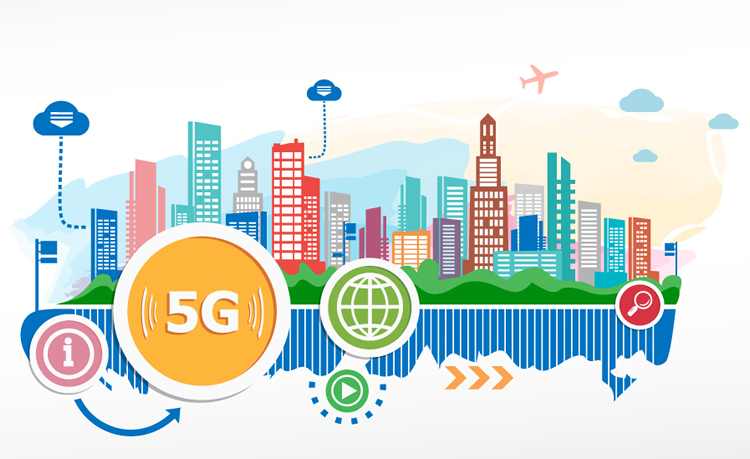 5G is set to transform society as we know it, connecting everything from cars to hospitals, creating a safer and more energy efficient world. What’s more, we won’t have to wait too long to see the first iteration of the network, as the 5G Innovation Centre hopes to introduce it to the world by 2020. This entry was posted in 5G and tagged 4G, 5G, 5G innovation centre, 5GIC, IoT, Professor Tafazolli on January 31, 2017 by Tim Cosgrove. Altice N.V. (Euronext: ATC, ATCB), an international telecom and media group, its subsidiary SFR, the second-largest French global telecommunications operator, and SIGFOX, the world’s leading provider of global communications service for the Internet of Things (IoT), today announced they will integrate SIGFOX connectivity in the group’s service offering in France and internationally. Altice customers and divisions in France and internationally will benefit from SIGFOX Connectivity, which complements the group’s telecom offer. This strategic partnership launches a collaboration of three players that share the same ambitions: to offer complementary connectivity solutions starting today that democratize the IoT in all sectors of the economy and expand the offer of connected solutions for businesses and consumers. With its focus on investing in growth, Altice is building an international group based on the convergence of mobile and fixed high-speed networks with media, content and platform services in Western Europe (comprising France, Belgium, Luxembourg, Portugal and Switzerland), the United States, Israel, and the Overseas Territories (currently comprising the French Caribbean, the Indian Ocean regions and the Dominican Republic). SIGFOX, whose network is deployed in 14 countries and already registers more than 7 million devices, offers an energy-efficient, two-way global communication solution for the millions of sensors waiting to be connected. In France, where the network already covers 92% of the population, this partnership will allow the customers of SFR, the first operator to launch the fourth generation (4G) of mobile telecom technology in France and an expert in M2M solutions, to benefit from the best of the two offers: high bandwidth and low bandwidth. SFR clients will use SIGFOX connectivity as a complement to existing connectivity solutions, such as 4G or WiFi. In 2016, SIGFOX plans to cover more than 30 countries with its network. The partnership with Altice will extend in all territories where the group is present, including Portugal with Portugal Telecom, the U.S. and Israel. The Internet of Things addresses all business sectors and has opened a new space that will help launch many startups. This collaboration will extend this innovation ecosystem and will help develop the supply of connected solutions in multiple sectors, such as industry, agriculture, healthcare, transportation and security. In France, SIGFOX supports a startup community within the IoT Valley and its accelerator, the Connected Camp, which has around 30 startups today. This community is getting stronger everyday through meetings with developers organized by SIGFOX, and the Makers Tours in France and internationally. Today, there are more than 100 connected devices compatible with the SIGFOX network and Altice will help grow this portfolio with the help of its industrial clients and the startups supported by SIGFOX. This entry was posted in IoT, M2M (machine-to-machine) and tagged 4G, atlice, connected camp, connected solutions, IoT, LTE, Ludovic Le Moan, M2M, Michel Combes, SFR, Sigfox on March 28, 2016 by Tim Cosgrove.